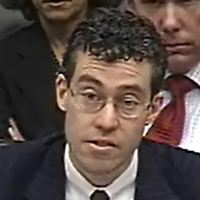 Juan Zarate, a former counterterrorism official and U.S. Treasury assistant secretary for terrorist financing and financial crimes under George W. Bush, has come out against the Obama administration’s new sweeping proposal for banks to rat on their customers to the feds for any and all overseas money transfers. Currently, financial institutions are required to report transactions greater than $10,000 and to file reports on any transactions that appear suspicious. An armed group held responsible for a bank heist in the North Sumatra capital of Medan last month has planned to rob three branch offices of state bank BRI in the province, three motor showrooms, a money changer and the house of elected Tanjung Balai regent in Riau, police say. National Police chief Gen. Bambang Hendarso Danuri said on Friday the money collected from the planned robberies would be used to finance terror attacks in the country. Bambang added that the group was led by Iwan alias Marwan alias Wak Geng, who has been arrested by the counterterrorism squad. Members of the gang came from radical groups in North Sumatra, Lampung, West Java, Central Java and East Java, Bambang added. There was no answer Friday night at the Jefferson Park condo where Hatem Abudayyeh lives with his wife and young daughter, but he was there at dawn when the FBI came knocking. Neighbor Sargon Tamo said that between seven and ten FBI agents came to Abudayyeh’s condo. “It took a few hours, easily four or five hours, just taking some fingerprints, investigating,” said Tamo. Abudayyeh is the executive director of the Arab-American Action Network, a Chicago-based community group which has been a critic of U.S. support of Israel. The Global Relief Foundation helped fund the bombing of U.S. embassies in East Africa in 1998. Another subpoena was issued to socialist Thomas Burke demanding the same types of records relating to Abudayyeh. Targets of the raids say it’s all just government harassment of friendly peace activists. Nothing to see here—just move along. Elder of Ziyon came up with an interesting analysis last week of salaries for “security forces” (who overlap with the terrorist population) in Gaza. Using World Bank figures as a starting point, Elder of Ziyon observed that “between $250M and $600M of PA budget seems to go to Hamas terrorists.” Take a look. When it comes to following the financial clues behind Faisal Shahzad’s failed bombing of Times Square, all the connections seem to run through Pakistan. Pakistani authorities have charged three men with terrorism-related offenses for allegedly helping failed Times Square bomber Faisal Shahzad prepare for the attempted May 1 attack by arranging meetings with top Pakistani Taliban leaders and sending him money, a senior police official in Islamabad said Wednesday. The three men, Shahid Hussain, Shoaib Mughal and Humbal Akhtar, are relatively young, middle-class Pakistanis who have been close friends with Shahzad for several years, said Deputy Inspector Gen. Bin Yamin. They allegedly facilitated Shahzad’s training at Taliban boot camps in Pakistan’s largely ungoverned tribal areas and arranged for him to meet with Pakistani Taliban leader Hakimullah Mahsud. When Shahzad ran short of money in the U.S. as he prepared for the bombing attempt, the three men sent him $13,000, Yamin said. Say, where did three young Pakistani males get $13,000 in spare change in the first place? They must have had a larger benefactor. Mohammad Younis, an immigrant from Pakistan living in the US, has been charged for providing money to Faisal Shahzad who has pleaded guilty for trying to blow up part of Times Square in May this year. Younis, who lives in Long Island, allegedly gave thousands of dollars to Shahzad as part of a “hawala” money transfer from Pakistan, which has come under the spotlight in recent years for being used to funnel money to extremist groups. However, 44-year-old Younis was unaware that money would be used in a terror plot, which had been hatched while Shahzad was training with the Taliban in Pakistan, according to the prosecution. Younis, who has been charged for operating an unlicensed money transfer business and conspiracy, pleaded not guilty and could be sentenced up to 10 years in prison if convicted. With legal prosecutions of Faisal’s financiers pointing back to Pakistan, one suspects that Pakistan’s intelligence service, the ISI, was aware of these financial transactions. Or was the ISI the source of the $13,000 that Shahzad’s “friends” transferred to him? Earlier this summer, L.A. writer Karen Fish argued that U.S. tax dollars ultimately funded Faisal Shahzad’s failed Time Square bombing through Pakistan and the ISI. We don’t have rock solid proof, but it’s a perfectly plausible argument. Getting bored by paying Muslims to kill Jews in Israel, Iran is paying Muslims to kill Western troops in Afghanistan. Remember, Iran’s economy is in the toilet, inflation is out of control, and Ahmadinejad has to tax the stuffing out of the local bazaar businessmen to try to shore up their budget. Yet somehow they found the money to offer cash prizes to the Taliban for killing American soldiers. Europol says that more money than ever is being donated to Islamic charities and being used to finance terrorism. The Daily Express says the public is being “duped” and that the charities are being “hijacked.” But how can it be a “hijacking” when one of the Koran’s stated purposes of zakat is for fighting in the cause of Allah? Or perhaps the Daily Express means that secular and Christian Europeans are making donations in zakat drop boxes because they actually think that their money will go towards causes like Pakistani flood relief, Palestinian orphans, and poverty reduction in the third world. At least the news is a somewhat encouraging sign that Europe is acknowledging the problem. UNSUSPECTING members of the public are being duped into donating cash to charities that are fronts for terror groups. Europol, an arm of the European Union that gathers information from national police forces, says “substantial” amounts of money innocently donated to apparently good causes is ending up in the pockets of terrorists. Even raffles are being used to con people, Europol believes. It is also highlighting an increasing trend by terrorists to use women. A spokesman for Europol told the Sunday Express: “Women are involved in propaganda, support and financial activities. Men are more likely to be involved in actually perpetrating violence. In a report detailing trends in terrorism and extremism in the EU, Europol says Britain is the number one target for terrorists. It identifies Islamic extremism as the biggest threat, with the growing power of radical youth groups of particular concern. In trying to combat the threat, EU police forces want to cut the lifeline of illegal funds, which also come from organised crime. The EU Terrorism report for 2010 says: “Illegal sources for the financing of terrorism cover a wide range of criminal activities including fraud, counterfeit products, drug smuggling, kidnapping, human trafficking and extortion. You are currently browsing the Money Jihad blog archives for September, 2010.